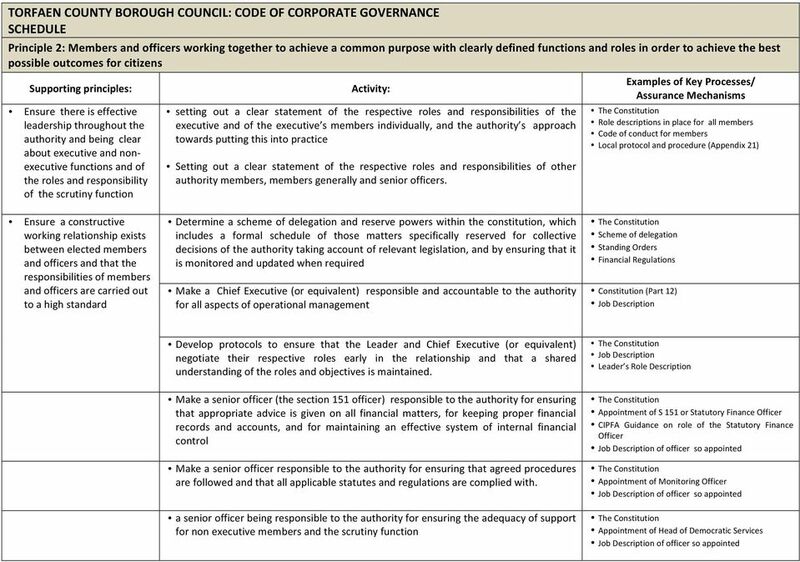 Download "TORFAEN COUNTY BOROUGH COUNCIL: CODE OF CORPORATE GOVERNANCE"
2 responsible for the regular review of the governance systems and processes that are in place to ensure that they are applied and are effective. 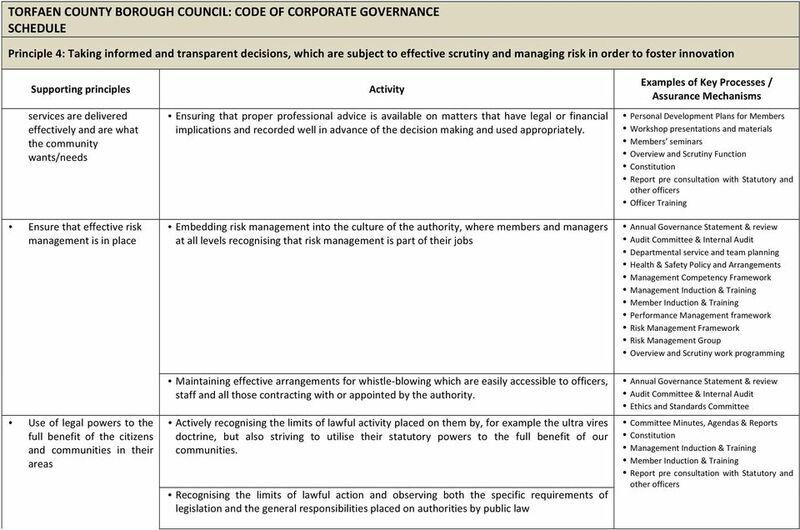 The Corporate Governance Review Group enables them to discharge this responsibility. 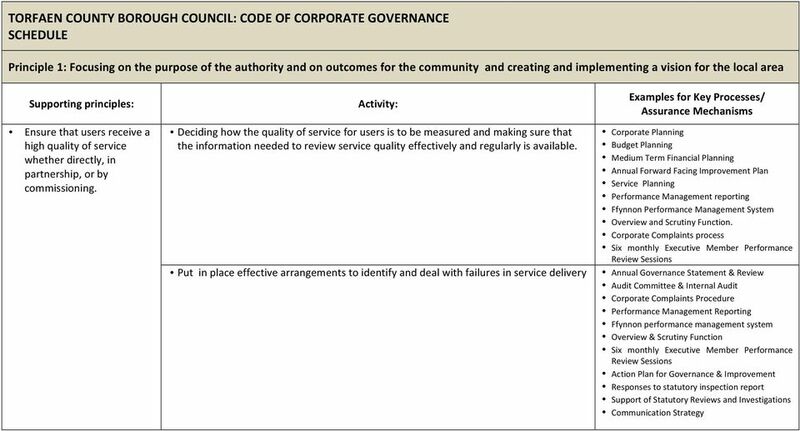 The results of this review are contained in the Annual Governance Statement which is reported to the Audit Committee and then published with the Annual Statement of Accounts. 7. 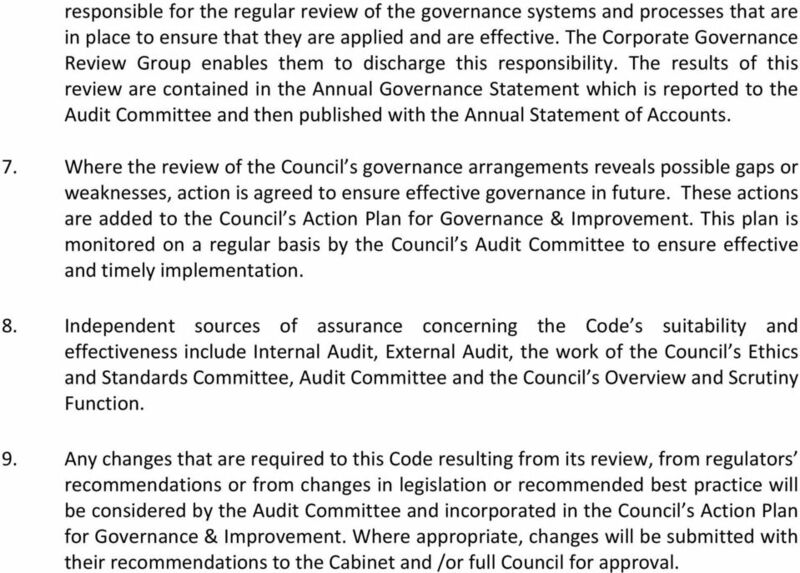 Where the review of the Council s governance arrangements reveals possible gaps or weaknesses, action is agreed to ensure effective governance in future. 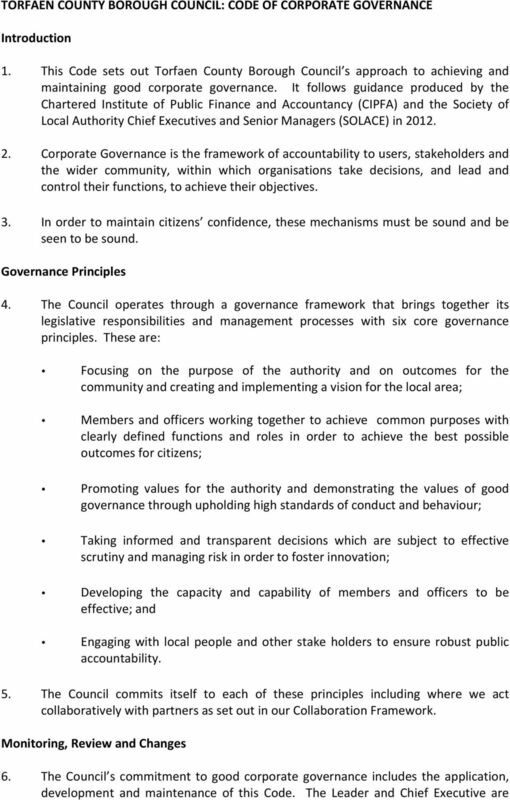 These actions are added to the Council s Action Plan for Governance & Improvement. This plan is monitored on a regular basis by the Council s Audit Committee to ensure effective and timely implementation. 8. 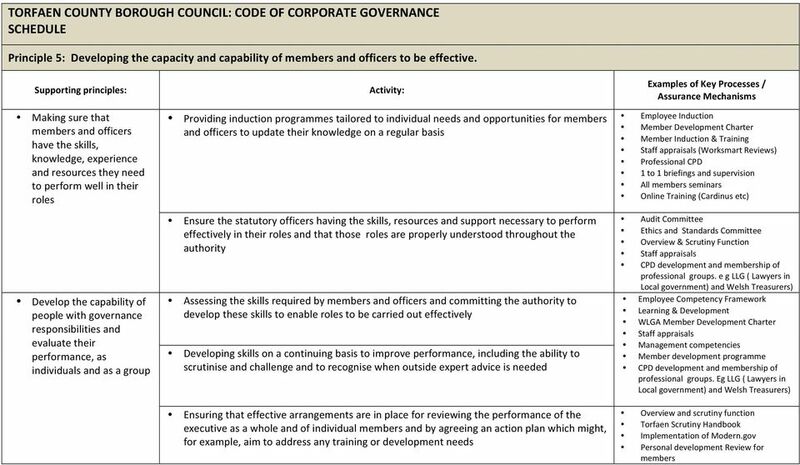 Independent sources of assurance concerning the Code s suitability and effectiveness include Internal Audit, External Audit, the work of the Council s Ethics and Standards Committee, Audit Committee and the Council s Overview and Scrutiny Function. 9. 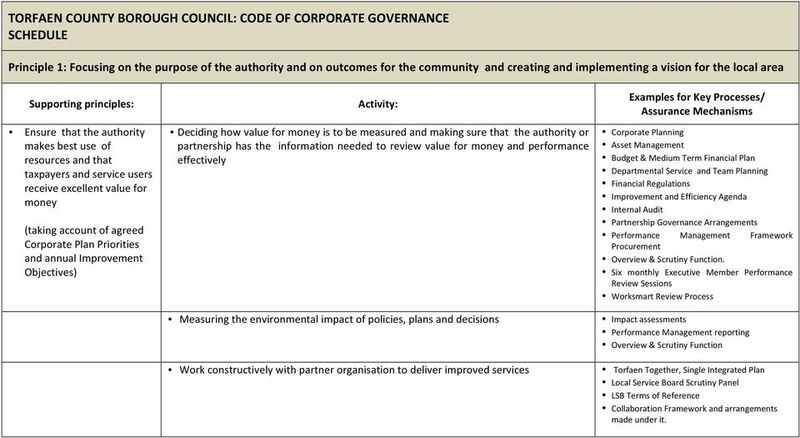 Any changes that are required to this Code resulting from its review, from regulators recommendations or from changes in legislation or recommended best practice will be considered by the Audit Committee and incorporated in the Council s Action Plan for Governance & Improvement. Where appropriate, changes will be submitted with their recommendations to the Cabinet and /or full Council for approval. 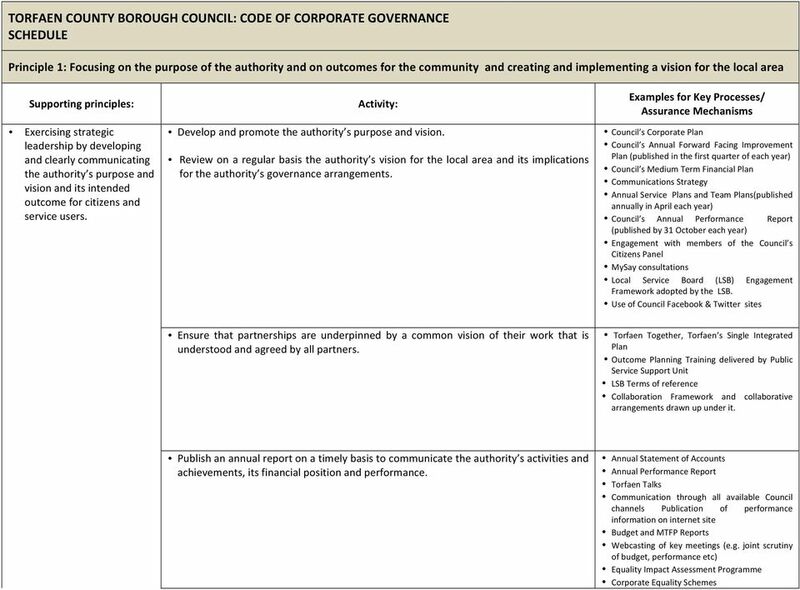 5 Principle 1: Focusing on the purpose of the authority and on outcomes for the community and creating and implementing a vision for the local area Supporting principles: Ensure that the authority makes best use of resources and that taxpayers and service users receive excellent value for money (taking account of agreed Corporate Plan Priorities and annual Improvement Objectives) Deciding how value for money is to be measured and making sure that the authority or partnership has the information needed to review value for money and performance effectively Measuring the environmental impact of policies, plans and decisions Work constructively with partner organisation to deliver improved services Examples for Key Processes/ Corporate Planning Asset Management Budget & Medium Term Financial Plan Departmental Service and Team Planning Financial Regulations Improvement and Efficiency Agenda Internal Audit Partnership Governance Arrangements Performance Management Framework Procurement Overview & Scrutiny Function. 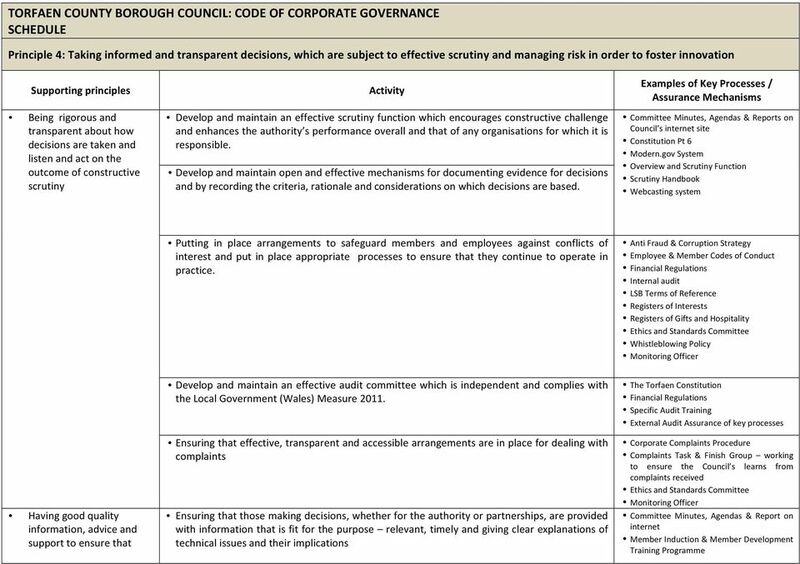 Six monthly Executive Member Performance Review Sessions Worksmart Review Process Impact assessments Performance Management reporting Overview & Scrutiny Function Torfaen Together, Single Integrated Plan Local Service Board Scrutiny Panel LSB Terms of Reference Collaboration Framework and arrangements made under it. 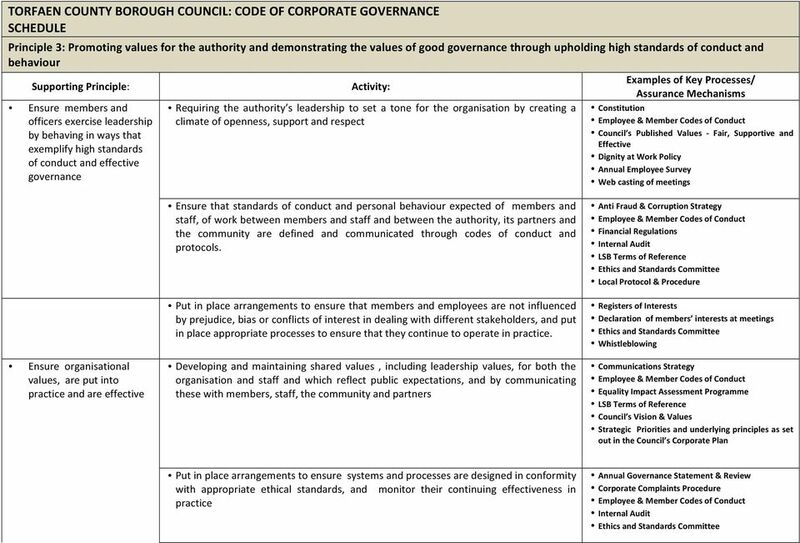 9 Principle 3: Promoting values for the authority and demonstrating the values of good governance through upholding high standards of conduct and behaviour Supporting Principle: Develop and maintain an effective Standards committee Examples of Key Processes/ Constitution Committee Minutes, Agendas & Reports Ethics and Standards committee meetings Using the organisation s shared values to act as a guide for decision making and as a basis for developing positive and trusting relationships within the authority In pursuing the vision of collaborative working agree a set of values against which decision making and actions can be judged. 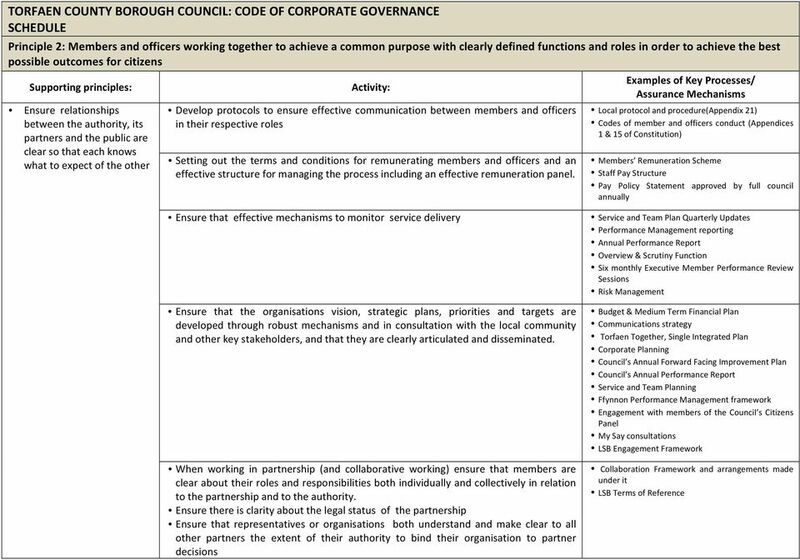 Such values must be demonstrated by partners behaviour both individually and collectively Constitution LSB Terms of Reference Collaboration Framework and arrangements made under it. 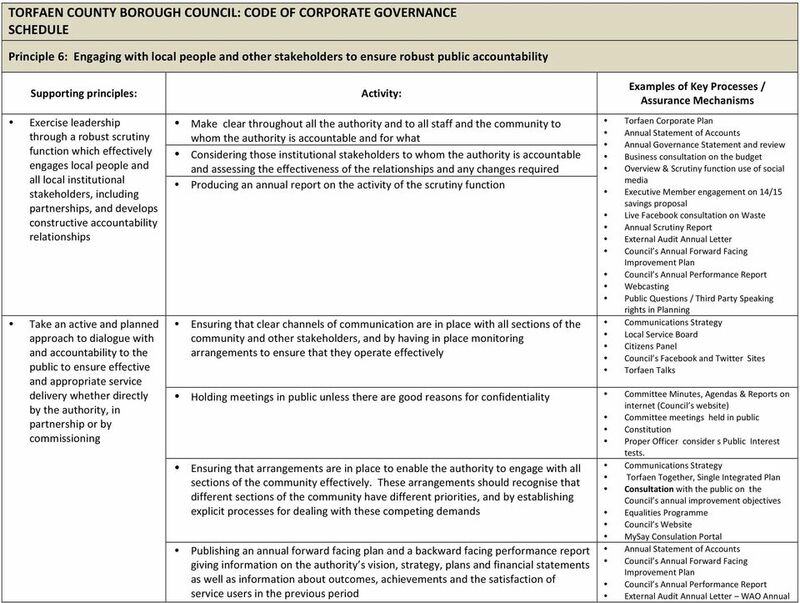 Hertsmere Borough Council Data Quality Strategy December 2009 1 INTRODUCTION Public services need reliable, accurate and timely information with which to manage services, inform users and account for performance. RAPt Job Description Position Title: Human Resources Manager Reports to: Director of Human Resources Introducing RAPt We are RAPt, a UK leading provider of drug and alcohol treatment services to offenders. Corporate Services Business Plan 20015/16- Day to Day Tasks. Corporate Services, Performance Management. Signed off: G Walsh 19.05.